Following a successful and extremely promising first full season of motorsport, 16 year-old Moh Ritson from Leeds signed off 2018 with the BARC Junior Saloon Car Championship Winter Series; a two-race finale that took place alongside the spectacular Truck Racing and Fireworks weekend at Brands Hatch on Saturday 3rd and Sunday 4th November. 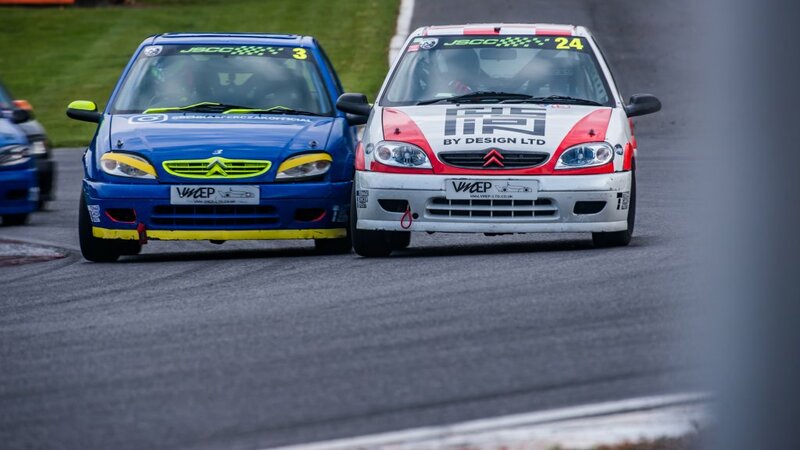 With the final two rounds of this year’s JSCC taking place at Oulton Park two weeks previously, Moh and the Tockwith Motorsports team – who prepare and run his Citroen Saxo VTR – were eager to wrap up the season at this high profile and well supported event that enjoys huge spectator attendance and live streaming TV coverage. Having raced at the 1.2-mile, technically demanding, Indy configuration of the Kent circuit in May, Moh was looking forward to going back to one of his favorite tracks and with no pre-event testing, he made the most of the official practice session first thing on Saturday. Qualifying later that morning went well and he was pleased to claim a fourth-row start and a P8 grid position in both races. Over the course of the season Moh has made a name for himself when it comes to race starts and the first of his two outings was no exception, the teenager picking his lines perfectly through the first two corners to emerge from Druids Hairpin in fifth place. He then battled against his rivals for the rest of the race but on the very last lap, things got a little too close and contact with another car caused a punctured tyre, the loss of the front bumper and a visit to a gravel trap. 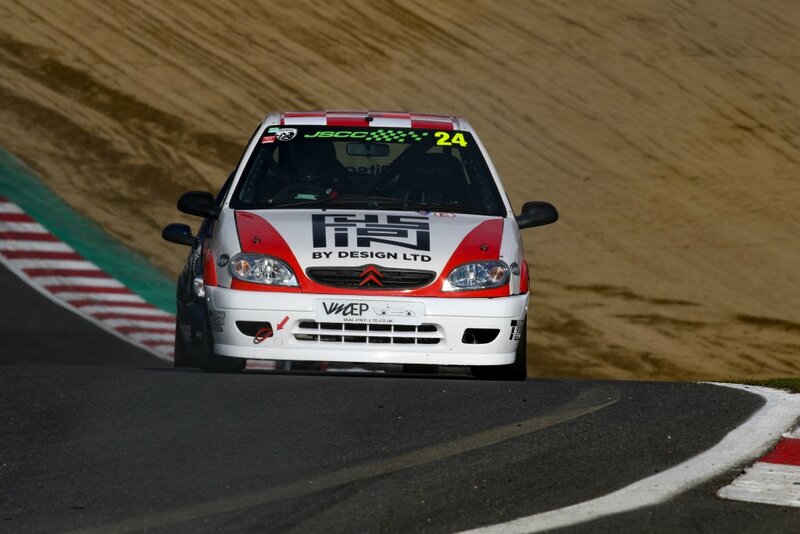 Moh managed to get back onto the Brands Hatch asphalt and nurse his car around the rest of the lap to claim 11th place. Whist an excellent all-round effort, the end result was unfortunately not a true reflection of the race performance. Un-phased, Moh began Sunday’s race two where he left off from Saturday’s race one and another blistering getaway saw him move up the field on the opening lap, until the red flag was deployed following a two-car incident at the start. If anything, Moh’s reaction to the lights was even sharper for the restart and he edged into fourth place on the run-down to turn three, Graham Hill Bend. A perfectly executed series of laps followed, which saw Moh end his final race of the season in a more than worthy sixth place. 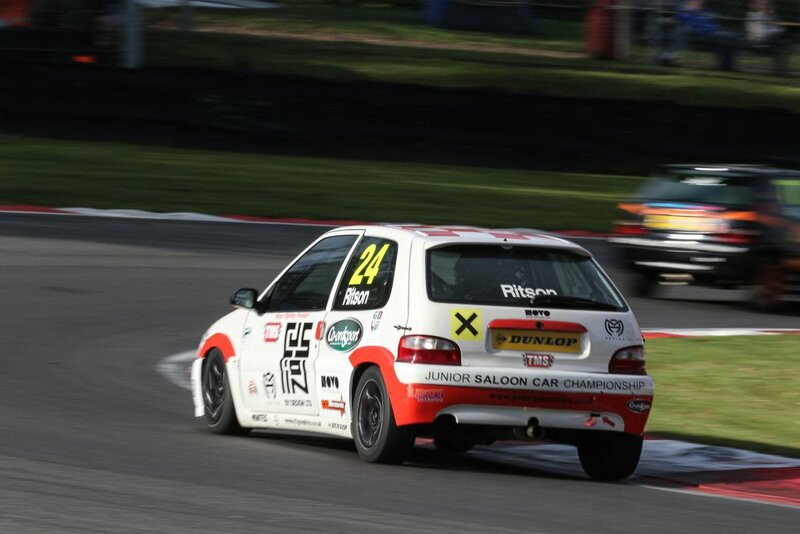 With an incredibly close race-long battle for the lead going on just ahead of him, Moh and his fellow Junior Saloon Car Championship competitors put on a fantastic show for the 1000s of spectators watching the action. Their display of close, fair and fiercely fought racing underlined just how good a proving ground this national series for 14-17 year olds is for the development of up-and-coming young talent. After all the track action had come to an end, to round off the weekend the JSCC drivers headed to the funfair to try their hand at the dodgems, before taking time out to watch a spectacular firework display that lit up the skies above the circuit. There was also the opportunity to meet a few of the fans for autographs, photos and selfies. “What a great way to end the season! With truck racing, fireworks and the biggest crowd I had ever raced in front of, there was a fantastic atmosphere around the circuit all weekend. Once again, I really enjoyed the racing and was pleased with my pace, so I intend to take everything I’ve learnt this year forward to next season. 16 Years old Moh is currently considering his options for 2019 and hopes to announce details soon.